Creative Labs is the official earcandy for IGNITE! Music Festival 2017. 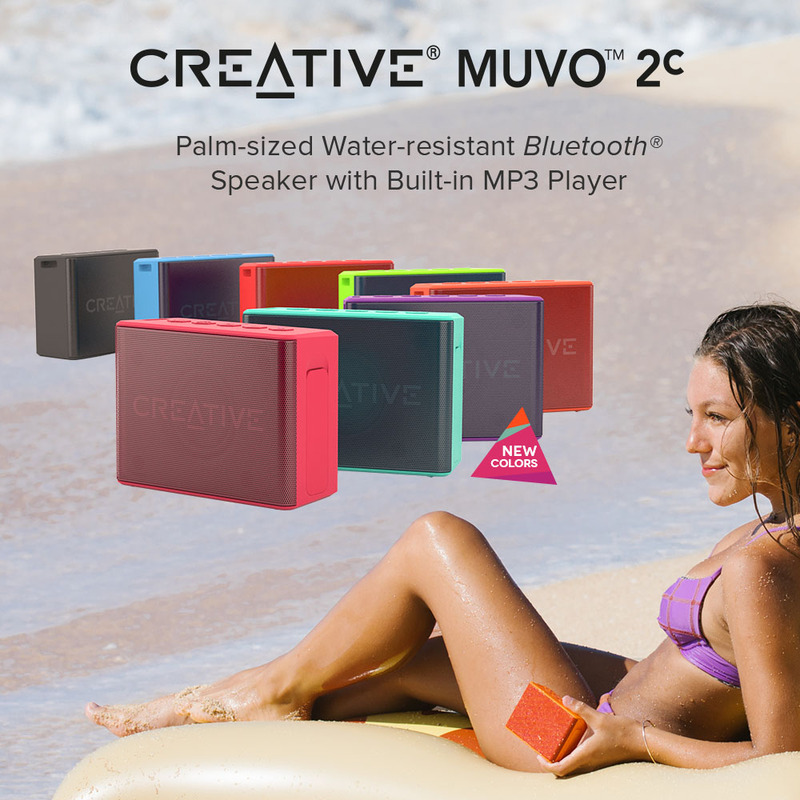 Play your favourite local tunes loud and proud with the Creative MUVO 2c compact portable Bluetooth speaker! Featuring 8 playful new colours, bring these adorable splash and dustproof devices to enjoy your music anywhere: by the poolside, at the beach, or during gatherings in town. customisable acoustic settings for astounding audio performance. Plus, get an instantly wider sound stage for parties and events by wirelessly connecting to a second speaker! What are you waiting for? Go #GETMUVO! Run wild with the Creative Outlier Sports this vacation! A pair of high-performance lightweight wireless in-ear Bluetooth headphones that stay secure and comfortable in your ears even when your workout gets tough, the Outlier Sports features sweat-proof properties to help you brave through all natural elements and accidental splashes. And with a battery life of up to 11 hours, nothing is going to hold you back from staying active. Visit our IGNITE! booth from 28 - 29 July 2017 for a chance to win your BFF and yourself a pair of Creative MUVO 2c speakers! What’s more, get the Creative MUVO 2c and Creative Outlier Sports headphones at up to 30% off when you sign up for our Creative Edu Store here.